MCL has a new Ph.D student, Yuhang Song in Fall 2015. Let’s give him a warm welcome! Yuhang received B.S. degree from the EE Department of Tsinghua University in Fall, 2015. He decided to join USC MCL to pursue his Ph.D degree beginning from this Fall semester. We had a brief interview with him. What is your first impression of USC and MCL? USC is a beautiful campus with high cultural diversity, and MCL is a big group with friendly mates. 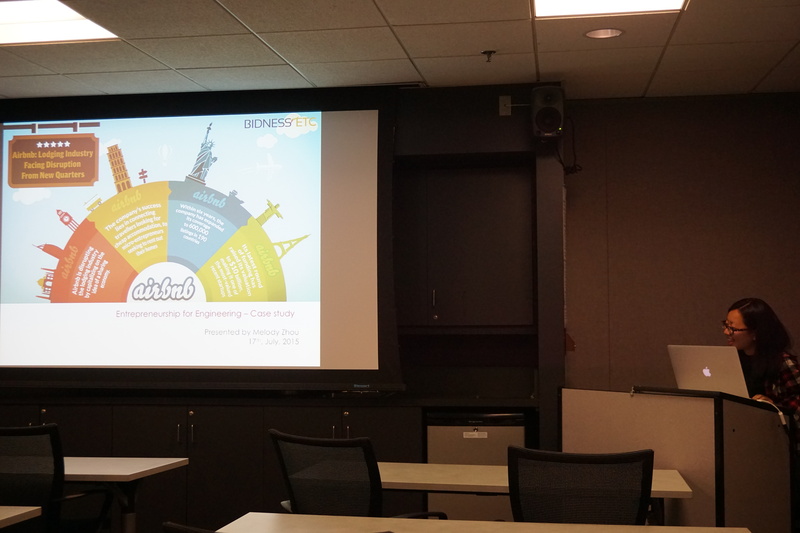 It really impressed me a lot during the first group meeting, where team members talked about their current work. Their enthusiasm about research and technology led a strong influence on me. I had a couple of research experience about multiple fields, including pedestrian action categorization, image retrieval, structural light coding and time series analysis. After my attendance of this lab, I want to keep an open mind on a variety of topics of computer vision and machine learning, and to dive into certain interesting topic after several tries. What’s your future expectation for MCL? As I’m new here, I hope to learn more about the ongoing projects and state-of -the-art technology in the lab. After that, I hope to devote myself to developing my research abilities, as well as communication skills. It will be a great journey in my life during this period in USC and MCL, and I’ll do my best to be a good team member and keep good relationship with my colleagues. MCL has a new Ph.D student, Hsin-Ying Lee in Fall 2015. Let’s give Hsin-Ying a warm welcome! Hsin-Ying received B.S. degree from the EE Department of National Taiwan University in 2014 Spring. 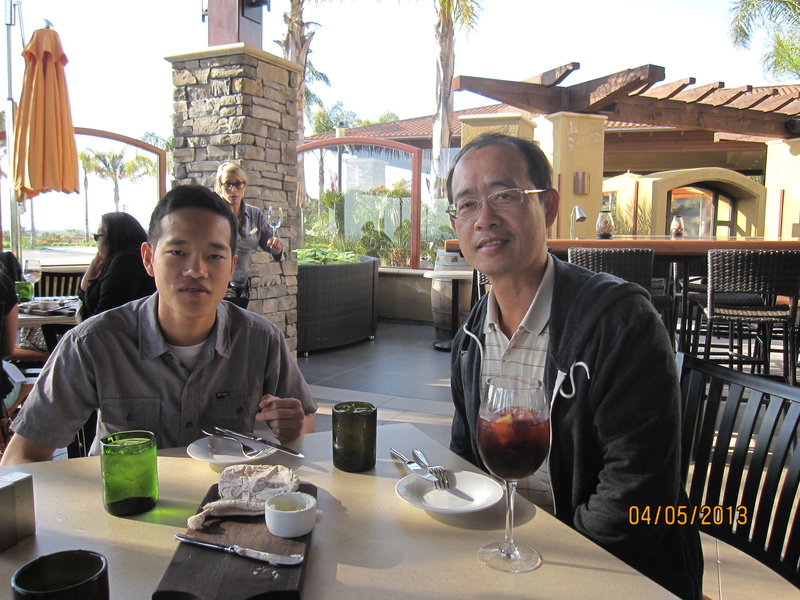 He got the USC-Taiwan Fellowship award and decided to join USC MCL to pursue his Ph.D degree beginning from this Fall semester. We had a brief interview with him. USC is quite an impassioned and multicultural place. People in MCL are full of enthusiasms for cutting-edge research. My previous research field was electronic design automation (EDA). I led a team to win two international computer-aided design (CAD) contests. 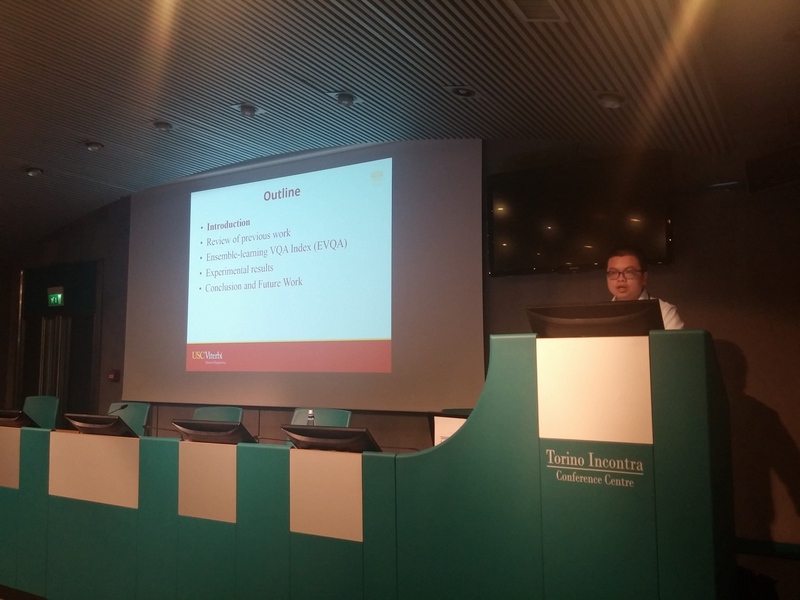 I had joined a MediaTek project about datapath extraction and placement. Now I would like to dive into computer vision and start a new journey of research. Currently, my research interests are biomedical related subjects, depth estimation from single image, etc..
Because I am just a beginner in computer vision, I have a lot to learn. I hope I can develop some advanced and useful solutions for computer vision problem. On the other hand, I am looking forward to getting to know all team members in the lab and becoming friends with all of you. It is my honor to work with so many brilliant colleagues and I hope I will be a good teammate as well. 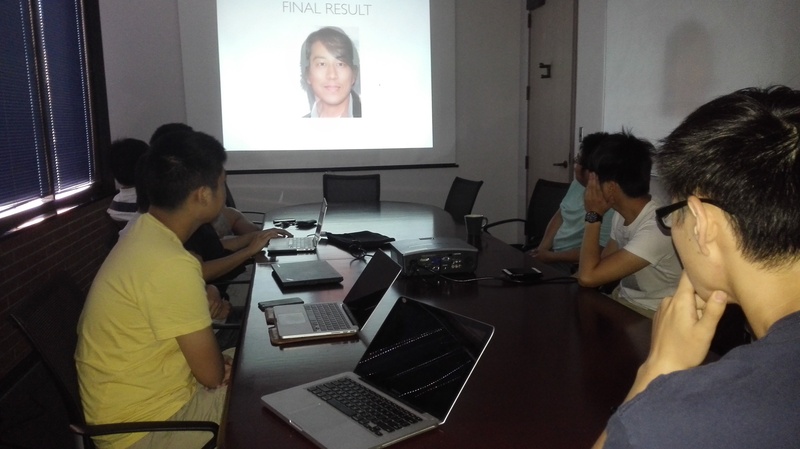 MCL is joining the research of Convolutional Neural Network (CNN). With the donation of one K40 GPU from NVIDIA, MCL will create its first GPU server to train and test various CNN architectures. K40 is the prestigious GPU that is widely used in parallel computing environment. It features 12 GB memory and 2880 CUDA cores that can significantly accelerate the speed of modern computer vision algorithms. When ECC is turned off and clock frequency is slightly boosted, it is capable of processing 20 iterations of Caffe training in 19.2 seconds. MCL director, Prof. C.-C. Jay Kuo, appreciates NVIDIA’s generous donation and has assigned Phd students, Hao Xu and Qin Huang to build a powerful server to house the K40. Prof. C.-C. Jay Kuo is interested in solving various computer vision problems. He has a vision that there should be a systematic way to provide unified solution to all types of computer vision problems. To achieve that goal, Prof. C.-C. Jay Kuo believes that we need to better understand the strength of the automatically trained feature sets. MCL has a detailed road map for its future development of Convolutional Neural Network, and one crucial step is to study the features trained through it. MCL will use Caffe and Theano libraries to test various CNN architectures, from the classic AlexNet to the deeper and more accurate VGG net. The visualization of features trained from these architectures will be carefully examined using deConv network. Finally, MCL wants to build a clear understanding towards both the automatically trained features themselves and the reason for why are they selected by the CNN. Three MCL students presented their case studies about business startups in industry in the last lecture of the entrepreneurship course this summer. 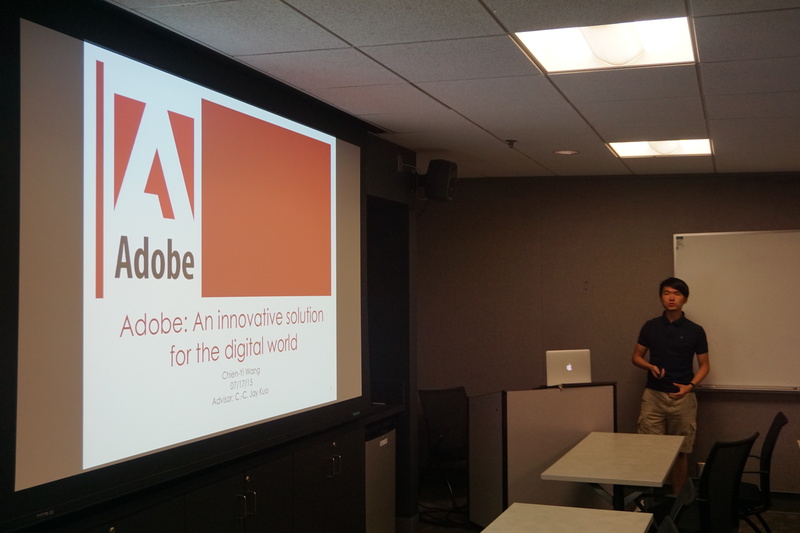 Chien-Yi Wang presented Adobe. Adobe has historically focused upon the creation of multimedia and creativity software products, with a more recent trend towards rich Internet application software development, including digital marketing and digital media solutions. The company is famous for its development on the “Portable Document Format”, which is adopted worldwide as a common medium for electronic documents. After the hallmark technology of PDF standard, they were devoted to develop powerful software and services for people to create suitable digital content, deploy it across media and devices, measure and optimize it over time and achieve greater business success. 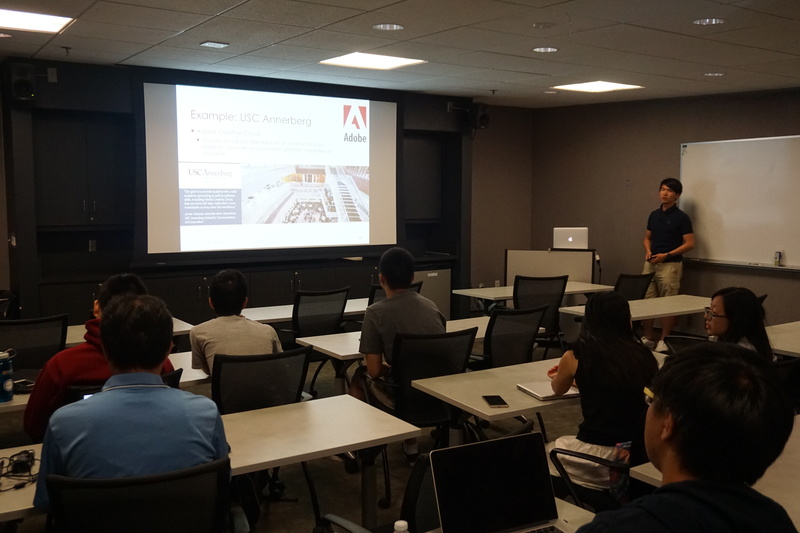 Adobe has a unique business model which could optimize the revenue by distributing their products in several ways. The company spent lots of money on the marketing side which allowed them to stand out among their competitors. Nowadays, their products all go on the cloud for customer to subscribe and make people easier to collaborate and use via different platforms. Adobe is also leading computer vision researches which could benefit the whole digital media community. In the last lecture of the entrepreneurship short course, another three MCL interns presented their case studies on typical business startups. Yifang Chen presented Zhihu, a Chinese Q & A website launched in 2011. Zhihu was similar to Quora at its initial stage but later developed its own specialty. 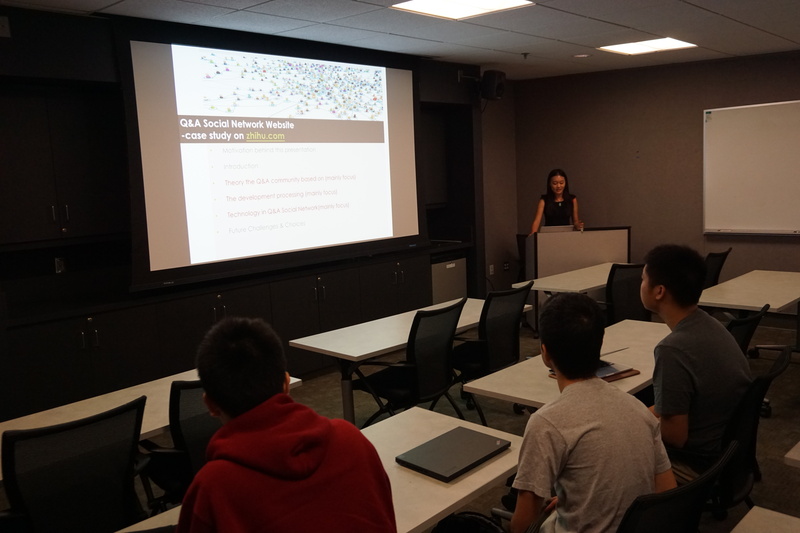 She mainly discussed Zhihu’s (as a Social Network Service (SNS) Website) focus on knowledge and intelligence sharing. Her presentation started with how “Cognitive Surplus” phenomena laid the foundation for the Q&A platforms. Then she specifically analyzed the different requirements of techniques to meet the changes in Zhihu’s business strategy, which also changed: useful content, people and core values. Through her presentation, audience did not only learn about how Zhihu accumulated resource, built up its own brand and stepped into expansion but also realize the gradual topic change, or even the deviation off the website’s initial purposes. Her presentation was interactive and interesting to all audiences. Melody Zhou presented Airbnb which created an excellent solution for home renters and providers worldwide. Since its inception in 2008, Airbnb had started an innovative community marketplace for people to post, discover, and book a wide variety of accommodations around the world. Airbnb has pioneered a new industry of “collaborative consumption” and peer-to-peer accommodation rentals, which leaves room for the company’s potential growth and worldwide adoption. Melody mainly talked about the history of Airbnb, how it was established and several key ingredients of its rapid expansion among many start-ups. Also, she shared some personal experience as a customer. Finally Melody pointed several current challenges for Airbnb, its reaction and future plan. Melody made an objective assessment. Her view was highly valued by the audiences. 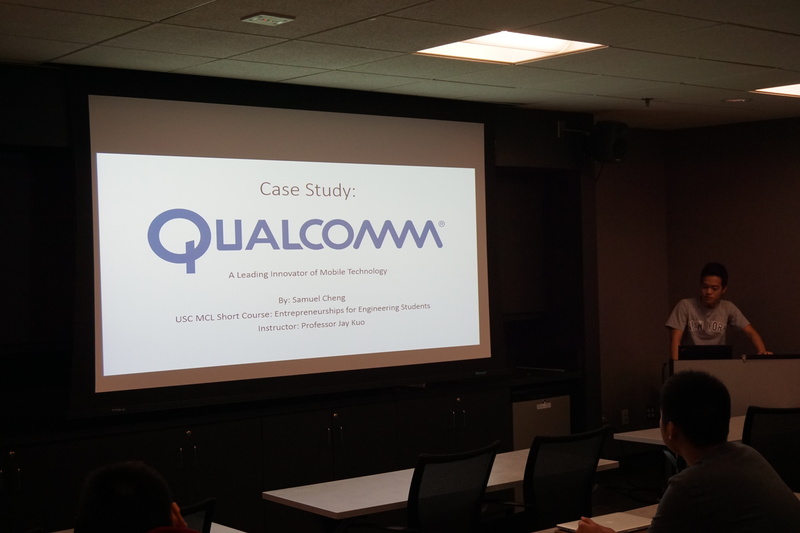 In the last lecture of the entrepreneurship short course, three MCL interns presented their final projects – case studies on successful companies. Their successful and impressive presentations showcased remarkable amount of time and effort they had devoted to the projects. By finishing these projects, the interns acquired fundamental business knowledge and rich experience on technology and business innovations in the MCL. 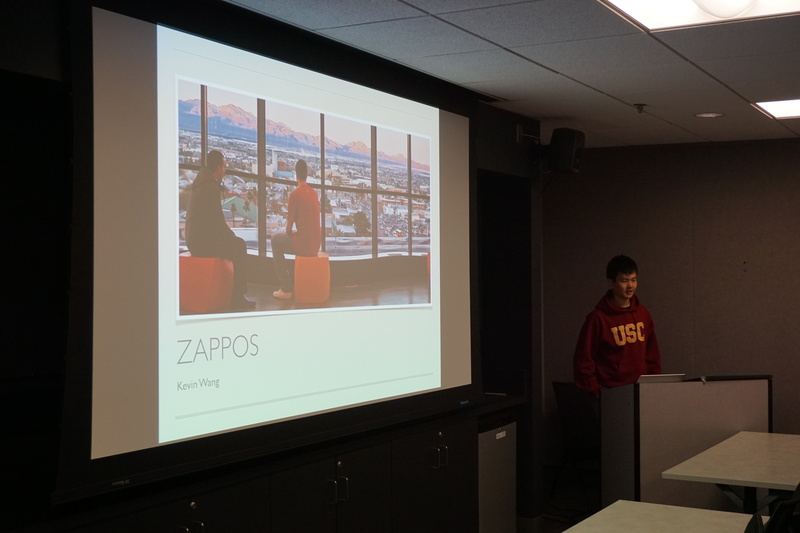 Kevin Wang presented Zappos, a thriving online shoe and clothing store. Zappos was founded in 1999 by Nick Swinmurn and obtained their first investment funds of $500,000 from Tony Hsieh of Ventures Frog, who joined Zappos one year later, serving as the Co-CEO. According to Kevin, what distinguishes Zappos from other companies is its core value, “Deliver Happiness”. For its employees, Zappos creates a happy and family-like work environment. For its customers, Zappos wants to “wow” the customer so that he or she will come back. Knowing how to retain its customers is what keeps Zappos profitable. Each of its employees needs to go through a four-month training to improve their capability in serving customers and implementing company culture. It’s no wonder that Zappos has an estimated 75% customer retention rate. In 2014, Zappos faced a major change in the way it was structured in 2014. It began its transition from a traditional corporate structure to a holacracy, a new type of corporate structure designed to improve communication flow. We are so happy to welcome a new senior high school student – Matthew Tran to our lab in summer. Let us hear what he said about the intern in our group. A1: I’m Matthew Tran and I will be a senior in high school in the Bay Area. I am interested in majoring in computer science. Although high school does not provide much research opportunities, I have done multiple projects that range from computer science and robotics to video production. I am interested to participate in research opportunities that involve web design and computer graphics. Q2: What was your first impression of USC and MCL? A2: USC is a great place to start my foundation in advanced engineering concepts. No matter what the major, it is an amazing place that provides opportunities to everyone. Everyone seems to have a drive to learn new things. MCL has provided me with opportunities to learn concepts that my high school does not teach. It’s a great place to get a head start and see how what I learn can be applied into real life situations. The people at MCL are also very welcoming and help me feel comfortable in class, despite the age disparity. Q3: What drove you to join MCL? A3: I heard about MCL from Dr. Kuo, who provided me with my internship. I would like to thank him for giving me the opportunity to take classes that graduate students would take. The internship provides me with hands on experience, while also giving me a feel of how college life is like. Q4: What is your further expectation of being an MCL member? We are so happy to welcome a new undergraduate student – Samuel Cheng to our lab in summer. Let us hear what he said about the intern in our group. My name is Samuel Cheng and I am entering my second year as an EE major with a concentration in electronics and optics at the University of California, Santa Cruz. As of now, I don’t have much experience in the EE field and I am hoping that by taking these courses in the Media Communication Lab I will gain more knowledge on what I wish to do with EE. I am also interested in the field of computer vision and communication. I believe that this lab will give me a thorough introduction into this subject. Outside of school my passion is the outdoors, especially hiking, camping, and cycling. My first impression of USC includes not only the beautiful architecture of this school but also the advanced facilities. At MCL the students there excel in their research. Jian Li was very hospitable and he showed me around the campus and inside EEB. The students in MCL are very friendly, approachable and diligent. I’m glad that I got the chance to work with them, thanks to Professor Kuo who gave me the opportunity to come to this school over the summer. I hope that I will be able to contribute my own effort to MCL and also, by helping the PHD students with their research, I can move forward on my academic endeavor.